First off, note that we didn’t say a perfect AC performance. An air conditioner, even the best one on the market and even those installed by trained, experienced professionals, is still a mechanical system. That means that, like any other mechanical system, they are subject to occasional operational problems. When that time comes, you can count on us to provide you with exceptional air conditioning repairs. Our air conditioning services in Hanford, CA are nothing if not comprehensive. Okay, that being said, how can you get the best performance that your air conditioner can offer? That is the subject of today’s post. Just because we’re already pretty far into the summer season doesn’t mean that this type of information can’t still be of use! So read on, and remember that our technicians are the ones that you want on the job if you want the best performance possible from your home cooling system. Wait—Air Conditioners Get Water Leaks? You may not have much cause to meander past your indoor air conditioning unit all that often, depending upon its location in your home. You should be in its direct vicinity at least on a monthly basis, however, because you need to change its air filter at least that often. So what if you are passing by your unit, and you notice that it is surrounded by water? What would you do in that instance? Assume that you have a water leak and call a professional plumber? Well, the problem with this is that air conditioning systems do not actually use water in their efforts to cool your home. They do not have a water tank of any kind, nor are they fed water for any purpose. So—where the heck is this water coming from? And should I be concerned? The short answers to these questions are frustratingly vague. There are a few potential problems that could be behind it and: maybe. So let’s take a closer look at the issue, and help to determine if you need professional air conditioning repair in Hanford, CA. Posted in Air Conditioning | Comments Off on Wait—Air Conditioners Get Water Leaks? 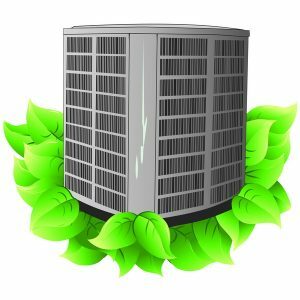 What Role Does Refrigerant Play in My AC? An incredibly important one, that’s what role it plays! Of course, regular readers of our blog know that there is a lot more information coming below—we just wanted to get that basic answer to the question posed in the title out there right away. Refrigerant plays an integral role in the overall cooling process, which relies on heat transfer, that allows your air conditioner to keep your home comfortable even as temperatures soar outside. So let’s take a look at precisely what the refrigerant in your AC does for your system—as well as the trouble that may ensue if you have a low refrigerant charge in that system. While we are at it, why not also talk about why you may have a low refrigerant charge to begin with? All that, and more, after this brief message from our—oh, sorry. We got a bit carried away there. Just keep reading, and remember to contact us when you need air conditioning service in Hanford, CA. Posted in Air Conditioning | Comments Off on What Role Does Refrigerant Play in My AC? 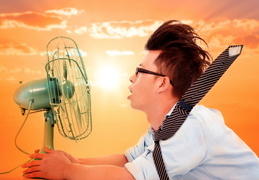 The last thing that you want to do is go into another long, hot summer season unprepared. What does preparing for the summer mean? Different things for different people. Maybe you’ve got a lot of trips planned out, or you just want to play it mostly by ear. One step of preparation that everyone in this area should take, though, is scheduling routine air conditioning maintenance in Hanford, CA. The benefits of doing so and the risks of not doing so are too great to overlook. Annual air conditioning maintenance will only be as beneficial as possible to you, of course, if you remember to schedule this vital service with skilled, trained professionals. That is why we urge you to leave your AC tune-ups to a member of our team. Be sure to give us a call before the heating season really sets in. That way, your air conditioner will not be caught off-guard when the hottest weather of the year arrives. New AC—Is This the Year? Spring is a very pleasant time of the year in this part of the country. Cool nights, warm but not oppressively hot days—what’s not to like? Don’t let the pleasures of spring lull you into a false sense of security, though. Temperatures can turn very hot very suddenly, which means that your air conditioner needs to be ready to go at a moment’s notice. 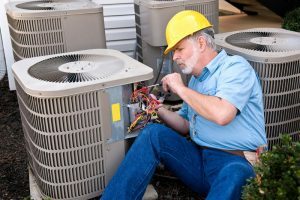 While routine AC maintenance will definitely help to keep your air conditioner in great fighting shape, you have to keep in mind that your air conditioner, regardless of make or model, is not going to last forever. 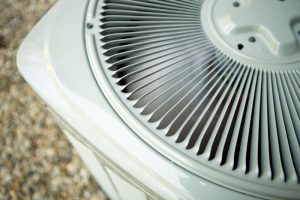 Is the year to replace your air conditioner in Hanford, CA? If so, then now is the time to get the job done! Posted in Air Conditioning | Comments Off on New AC—Is This the Year? While California is certainly more well known for its seemingly limitless sunshine than it is for its winter weather, the fact of the matter is that temperatures can and do drop well below comfortable levels around here. That is why it is so important for homeowners to have great heating systems installed in their homes, one of the most popular of which is the furnace. While modern furnaces are typically very reliable, you need to remember that no heater will ever be 100% reliable. There are a number of problems that you may encounter with your furnace that could put your heating in Hanford, CA in jeopardy. While we cannot give you some magical ability to completely eliminate the risk of encountering such issues in your home, we can give you some helpful information regarding common furnace problems. These issues are not normal, and you should not ignore them just because it seems as though your furnace is still operating decently. Are There Cold Spots in Your Home? Just because our winters are not as cold as those in other parts of the country is no reason to overlook the fact that they are certainly cold enough for discomfort. When your home is chilly and drafty, there is no way in which you are going to be able to live in the level of comfort that you desire and, we believe, deserve. That is why you should do whatever it takes to eliminate cold spots in your home. But why might cold spots pop up, anyway? 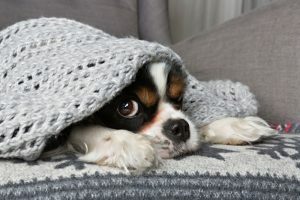 Well, as is the case with most heating problems, there are a number of reasons why you may encounter cold spots in your home. The Hanford, CA heating professionals on our team are here to help, though. When we investigate the situation, we’ll give you the proper diagnosis the first time around. From there, we can advise you as to how you can best go about resolving the problem and live more comfortably. Posted in Heating | Comments Off on Are There Cold Spots in Your Home? If your washing machine left a puddle on the floor, or your water heater sprang a leak, you probably would not be confused by the development. Annoyed, yes. Aggravated, sure. It makes sense that these systems might develop such a leak at some point, though, because these systems use and contain water. Your air conditioning system does not, though, so the development of a water leak is something that catches many homeowners off guard. While your air conditioner does not use water in its operation, and this water may not be the result of a “leak” in the way that you may be thinking of one, it is still entirely possible for your AC to be the source of the water on the floor surrounding it. Today we’ll look at a few potential problems that could be behind this perplexing symptom. 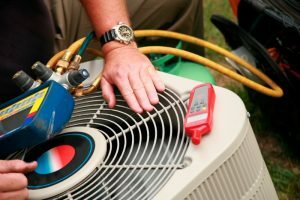 Read on, and remember that we are here to assist you with any necessary AC services in Hanford, CA. Posted in Air Conditioning | Comments Off on Why Is My Air Conditioner Leaking Water? Why Upgrade Your Thermostat This Summer? To answer the question posed in the title of this post very quickly: to save energy, reduce cooling costs, and live even more comfortably while doing so. Now, we know that this may sound too good to be true, but we are here to tell you that simply upgrading your thermostat in Hanford, CA can actually offer you such major benefits. Just remember that, while a thermostat may not seem all that complex, only trained professionals can guarantee that your new thermostat is installed properly and integrated into your AC system at large correctly. 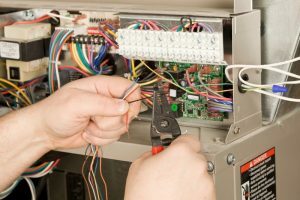 Don’t waste your money on a new thermostat if you are not going to schedule the quality services that that thermostat needs to excel in its operation. Work with us, and you need have no such concerns. Posted in Air Conditioning | Comments Off on Why Upgrade Your Thermostat This Summer? AC FAQ: Is It Time to Replace? We’ve already had some fairly warm days in the past week. Chances are that you may have already run your air conditioner a bit this year. 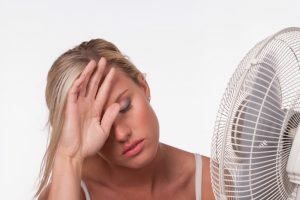 If you have, and you have not been impressed by the results, and you’ve already had your system tuned up, then you may want to start thinking about replacing your AC before the weather gets any hotter. The same goes for those systems that failed to impress during the last cooling season. If you are ready for an AC replacement in Hanford, CA, just give us a call. Posted in Air Conditioning | Comments Off on AC FAQ: Is It Time to Replace?